Shane Shirley : What Is Asbestos Anyway and Why Should You Care About It In Your Green Life? What Is Asbestos Anyway and Why Should You Care About It In Your Green Life? You hear about it every once in a while, but what is asbestos anyway and why should you care about it in your green life? Well, asbestos is a naturally occurring mineral that was adapted for heating and insulation purposes in homes and buildings built up until the mineral was banned for use in the U.S. in the 1970s. Why was it banned? It is a direct cause of a host of health problems, primarily mesothelioma cancer, which can lay dormant in the body for up to 50 years after the inhalation of asbestos fibers and kill within months of diagnosis. Unfortunately, asbestos is still a risk to our health. While buildings constructed after the late 70s are not insulated with asbestos, millions of buildings – including universities, hospitals, and homes – are still laden with asbestos. The environmental risk comes when the building’s foundation becomes compromised. In the cases of the World Trade Center attacks and the Hurricane Katrina disasters, buildings were torn to the ground with asbestos insulation flying into the air. Many rescue workers and civilians were exposed to these toxic fibers putting them at an immediate risk to develop mesothelioma. 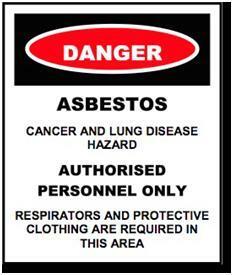 Asbestos is still mined and used widely and abundantly in other countries such as Canada, Australia, and India. While asbestos is no longer used the U.S., it still affects us daily as we walk through with walls built of toxins. It is important to spread awareness about this environmental health risk and to advocate for the end of asbestos in our country. Mesothelioma is entirely preventable and it is our goal to stop the development of this deadly cancer once and for all. The Mesothelioma Center at Asbestos.com offers a wide range of resources for mesothelioma patients and their caretakers including education, emotional support, and doctor profiles. You can subscribe to our news feed for the latest information regarding asbestos laws and products. In addition to our news feed we have a blog sharing many resources through outreach/awareness and patient resources. We would love to hear from you, please “like” our Facebook page and “follow” us on Twitter for live updates.